This winter, Russian cuisine will appear before the guests of the OBLOMOV restaurant in all its splendor. 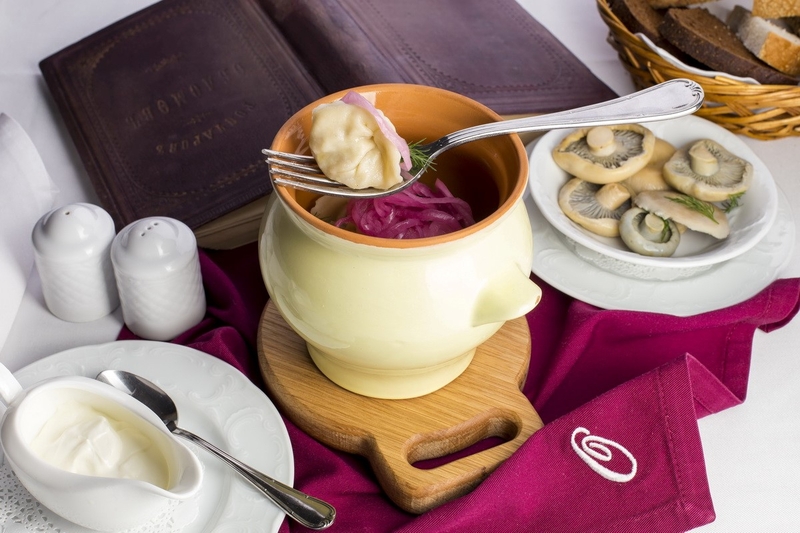 Chef Pavel Kirillov included in the seasonal offer several types of handmade dumplings. Both the dough and the filling are prepared in the kitchen of the restaurant. In the section of hot appetizers - dumplings with salted white mushrooms, with meat of elk, wild boar and wild duck, with pike-perch, with lime salmon. And the soup with the fish dumplings! Bon appetite!